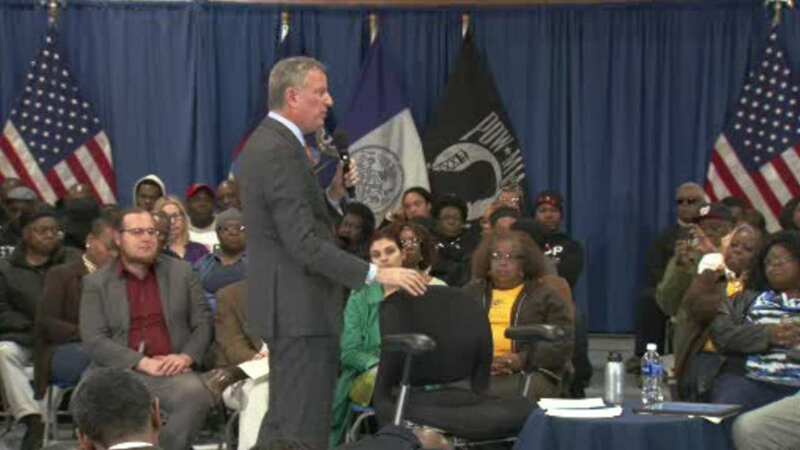 CROWN HEIGHTS, Brooklyn (WABC) -- New York City Mayor Bill de Blasio said Thursday night that the controversial opening of a new shelter in Brooklyn, will lead to the closing of three sites by the end of the year. The new shelter would be on Bergen Street in Crown Heights and will be for homeless, people over 62-years-old. The neighborhood however has been pushing back against the plan, saying there are already plenty of shelters in the neighborhood. "If you don't believe a new proposal, I don't blame you for any noble skepticism," Mayor de Blasio said. "But I do ask you to keep an open mind and watch as we do this because I ultimately think it will be a better way for our city." There are currently 19 homeless shelters in this city council district.